Unlocking all that life has to offer! A new book by JC Gordon. Become the Universal Mind and 100% Consciousness! Get your copy at Amazon here or purchase a PDF here. Fascinating, loved it, resonated with me. "This book is a ‘no joke’ divine download"
If you know there’s a reality beyond what you can apprehend with your 5 senses, then check your mind in at the door, drop down into your heart and prepare for a personally expanded, conscious awareness of what’s possible when you engage with JC’s book. This is real solid soul food. If you yearn for utter clarity on how you will bring the difference you were meant to bring to Earth at this time, this book will begin opening that up for you. Give away everything you ‘know’ in service of connecting, with certainty, to the source of all-that-is. Lastly, if you know we are designed to experience life in great abundance - an abundance for all, of all we value, then I invite you to carve out a few hours ... you won’t want to put this one down. Finishing this book at 1 o’clock in the morning, I was left with reverence, awe and grace. Thank you, JC. 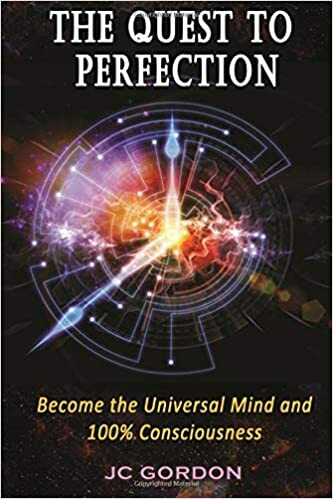 "The Quest to Perfection is a phenomenal and amazing book"
By Ken Biggs October 11, 2018 - 5 out of 5 stars! If anyone is looking for the escape from today's fear and negativity, this is where you begin. Copyrights © 2018. All Rights Reserved. Created & Maintained by Leeman Cheng. JC Gordon's The Cosmic Medium, a journey from a Near Death Experience, back into life and beyond.